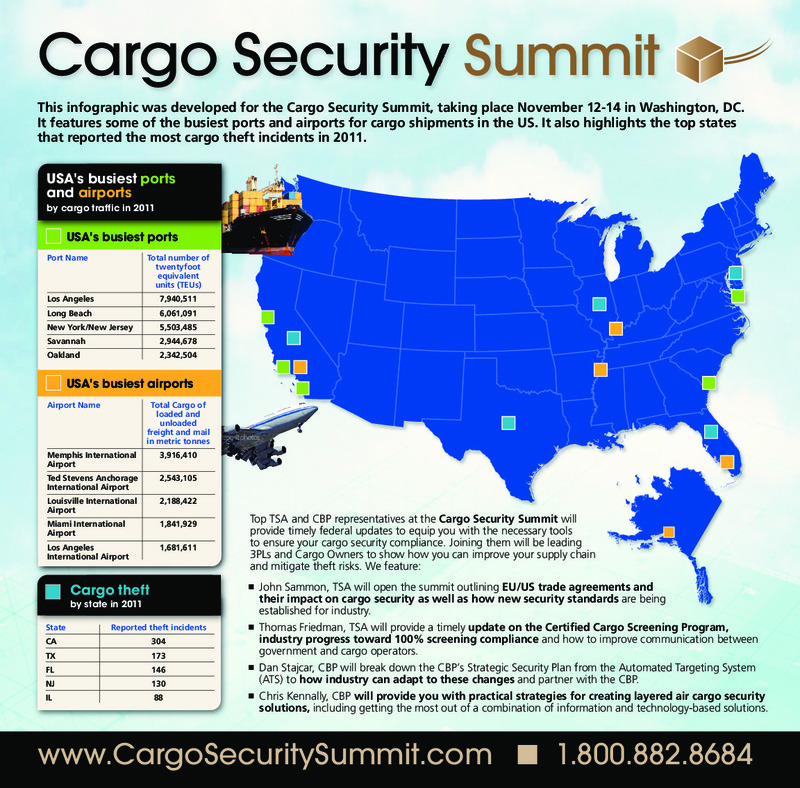 This infographic was developed for the Cargo Security Summit. It features some of the busiest ports and airports for cargo shipments in the US. It also highlights the top states that reported the most cargo theft incidents in 2011.